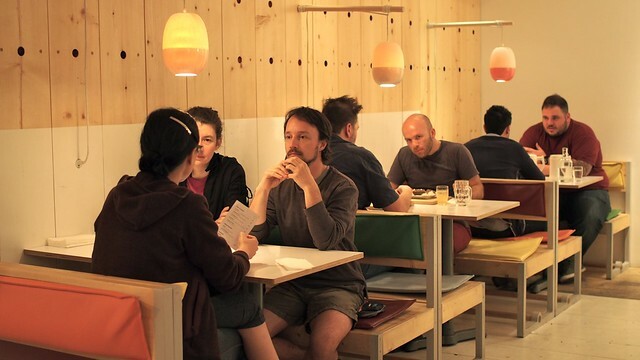 Late night eats at Bestie Currywurst in Chinatown on May 30, 2014. I've been meaning to revisit Chinatown's new destination for late night eats long since its opening last year. 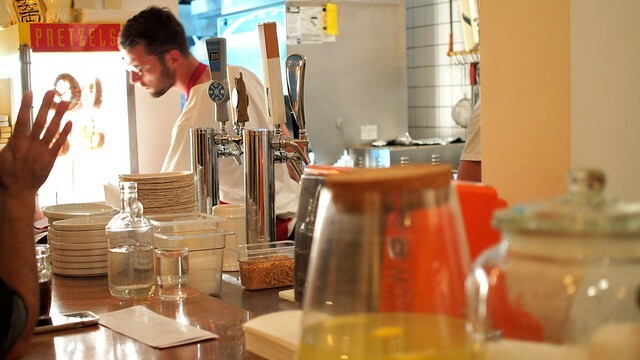 After a night of beer and misadventures, we made the interesting stroll over to East Pender Street to get some of fine German inspired street food. 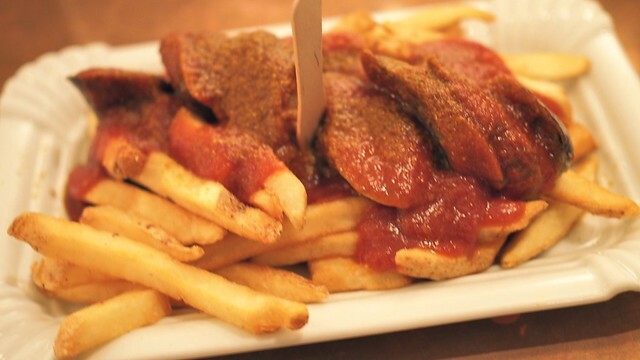 First, the smokey bison currywurst sausage (with curried ketchup over fries) was hearty, meaty, and full of smokey flavour. The bison meat was thick and complemented the tangy curry taste. 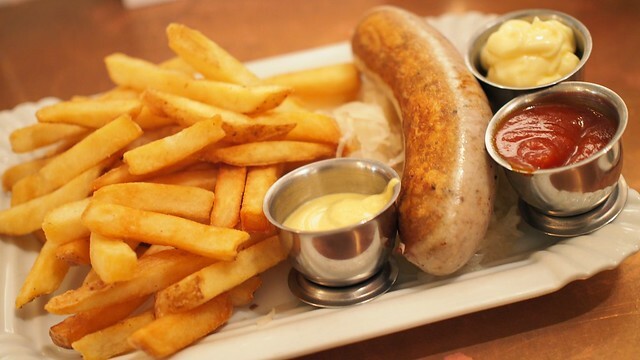 Second, the classic pork thüringer sausage and sauerkraut with fries was crisp and delightful in its simplicity. I'm reminded by its a German classic. 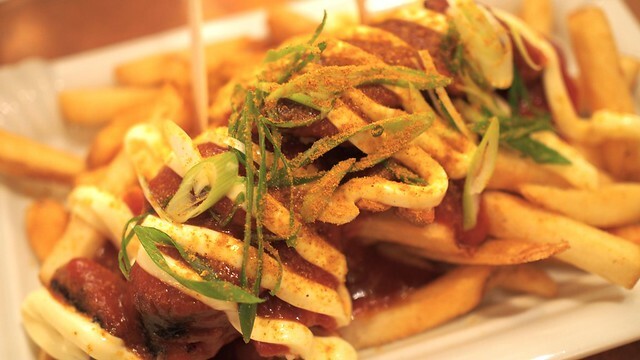 Third, we had a hankering for the BBQ turkey currywurst (topped with green onions and mayo) and this was a the most decadent of the bunch with its creamy taste. 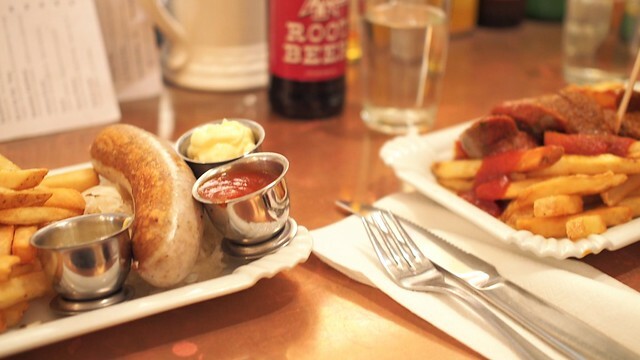 Late at night and after a belly full of beer, Bestie's currywurst hit the spot with all its crisp, well-cooked sausage dishes. Also, there selection of beers and sodas is particularly impressive.